The year 2017 may very well be remembered as the year the women working in Hollywood took the reins and controlled their narrative. 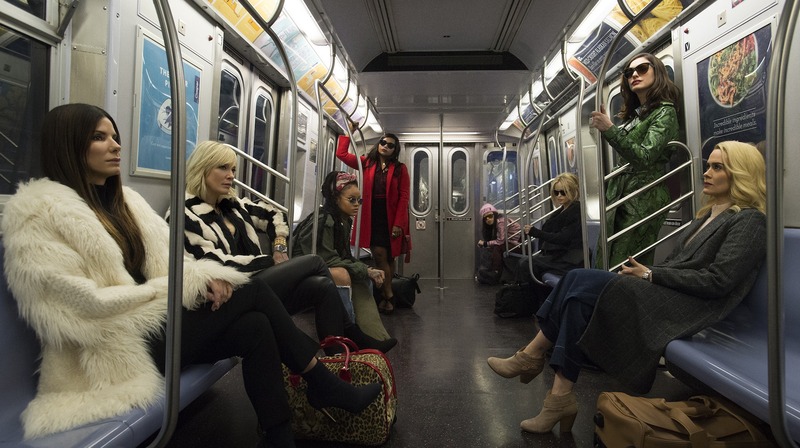 And if the first full trailer for Ocean’s 8 is any indication, men are going to stay in the backseat well into the new year — and that’s mighty fine with us. The trailer for Ocean’s 8 has been eagerly awaited for months now, and with a little bit of news here and there, the majority of the setup has remained fairly mysterious. Sure, we know Sandra Bullock is playing Debbie Ocean (which means she’s somehow related to dear old Danny Ocean from the original Ocean’s films) and we also know Debbie is bringing together seven solid female compatriots to help steal a highly valued necklace at the Met Gala. But the trailer? Well, the trailer does quite a lot in the way of tantalizing prospective audiences. Cut to scenes of her and Cate Blanchett at the luxe New York City eatery Veselka discussing the heist they’re clearly planning together. Their target is the annual Met Gala, or more specifically, a $1.5 million necklace on the body of a certain attendee of the Met Gala, Daphne Kluger (played by Anne Hathaway). They start to gather their team, which includes Mindy Kaling, Helena Bonham Carter, Sarah Paulson, Rihanna and Awkwafina, and we couldn’t have put together a more badass team of ladies if we tried. The lady power in this film is already a little overwhelming, but in the best possible way. The Oceans movies have always been a ton of fun, but we honestly can’t believe it took until 2018 to make one starring all women. The trailer shows the cast has a ton of chemistry and the women are just as capable of planning a million-dollar operation as the men were — if not more so. Move over, George Clooney. It’s our turn now.